When we hear the name Corey Cunningham in connection with a project, we expect very good things. And why not? 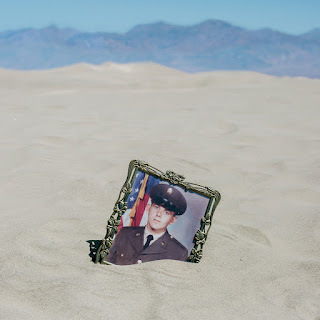 When a resume includes Smokescreens, Terry Malts and Magic Bullets, as well as work with Mike Krol, we know we can't go wrong supporting the guy. But even with those expectations, we were thrilled and amazed by Ripe for Anarchy, his new album under the name Business of Dreams. Yes, the roots of past work remain, with guitar pop hooks and dynamic chords. But the songs on this album have a brighter pop sheen, and a bit less grit. Moreover, they are adorned with synths that give the proceedings a bit of an '80s lushness. Thematically, the album is emotionally complex, with melancholy and disappointment mingling with joy, hope and a survivor's acceptance. In our view, it is a tribute to Cunningham the pop craftsman that we find traces of past favorite records from labels like Postcard, Creation, and Sarah, as well as the label for this album, Slumberland, without being able to put a finger on a specific influence. The quality is at such a level that choosing favorite songs is an impossible task. We listen to this album daily -- at work, at home, in the car, on runs, and in the gym. If the blips and blaps on our devices were like vinyl, this record would be skipping already and today is the release day. Yes, Ripe for Anarchy gets our highest recommendation. The album is out today in vinyl, CD and digital formats via Slumberland Records. When I first read the name for Michael Wood's project, I wondered whether it was ironic, and would deliver a dose of thrash metal, or descriptive. 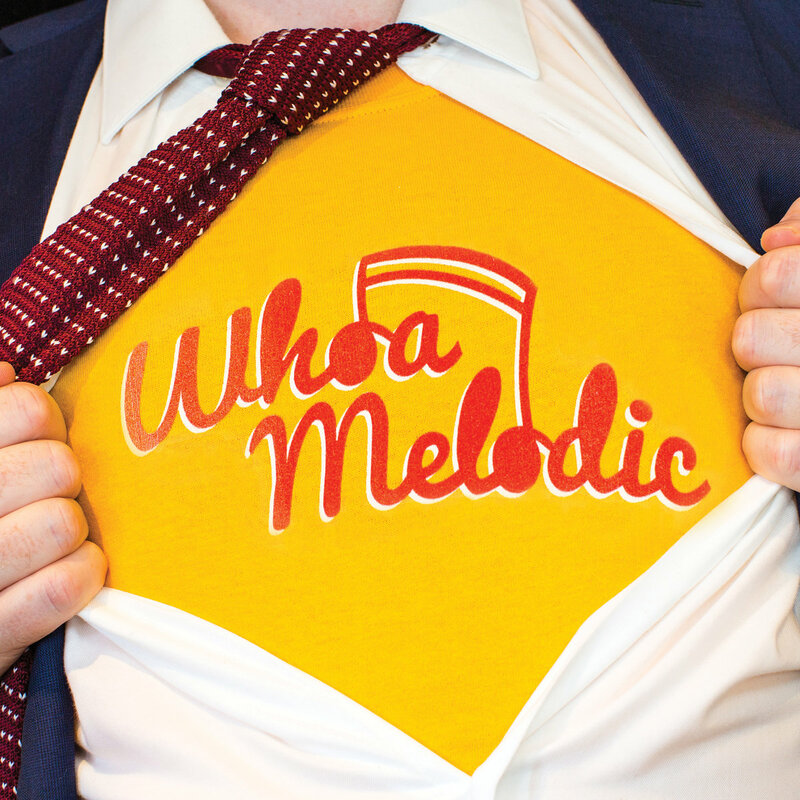 The truth is that Whoa Melodic is an anagram of Michael's name. However, it also is completely, and delightfully, descriptive. Wood previously has worked with Singing Adams/Steven Adams & The French Drops and The Hayman Kupa Band, but steps to the front of the stage here with a set of personal songs that celebrate how happy he is and, quite frankly, how talented he is in crafting sunny ear worms. The listener will find a lot of piano, a lot of major keys, and a lot of smiles and hugs. (The listener also may correctly surmise that Paul McCartney is a major influence on Wood's creative impulses.) This is a gentle and sincere set of songs that we will enjoy in any setting. But with the rain coming down all day at WYMA headquarters, it currently is an essential album as well. Check out the album via the streams below or at the Bandcamp link, and enjoy smiling. Whoa Melodic is out today in vinyl and digital formats via the mighty little indie pop label Where It's At Is Where You Are (wiaiwya). 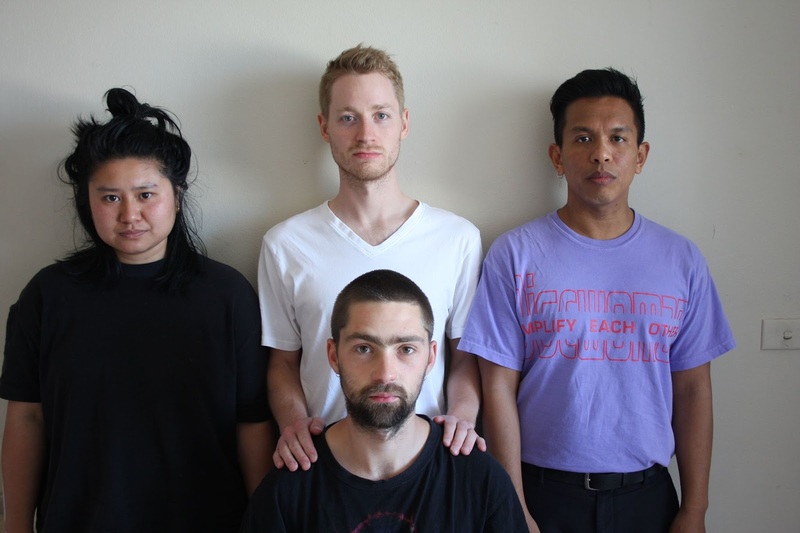 Melbourne's Chapter Music is a "go to" kind of label. We've covered electronic, club, pop, rock, and many, many guitar pop releases put out by these fine gents. We've been wondering when their first release of the year would arrive, but we wonder no more. Our ears have now had the pleasure of meeting Honey 2 Honey, via single "Tone Of Voice". Firmly on the club side of the spectrum, it is the product of a Canberra/Sydney collaboration among Roy Stenning, Luke Keanan-Brown, Del Lumanta, and Daryl Prondoso, and is taken from their forthcoming EP A Taste Of. Expect - no, anticipate - some jazz, dub, R&B and even Krautrock. But for now, enjoy "Tone Of Voice". 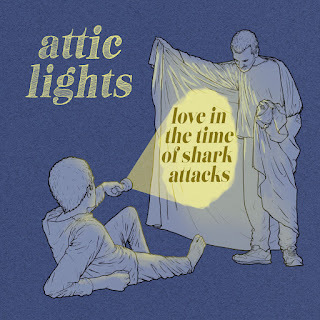 After a lengthy quiet period, Glasgow's Attic Lights are back with another satisfying album of power pop, the curiously titled Love In The Time Of Shark Attacks. Adeptly echoing the best of '70s and '90s guitar pop, and in no small measure channeling Teenage Fanclub and Weezer, the hooks are plentiful and the melodies sugary. 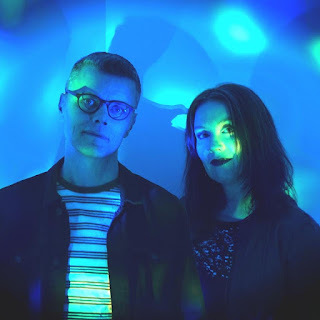 We are always on the lookout for power pop that makes our day brighter, and if you are like us you will find what you need on Love In The Time Of Shark Attacks. Attic Lights are Kev Sherry, Colin McArdle, Jamie Houston, and Noel O'Donnell. Love In The Time Of Shark Attacks is out now via Spanish label Elefant Records. It was almost dinner time, and we were hungry. Hungry for food, but also hungry for some good music. So we pulled into our favorite (and highly secret) place, and ordered Four Tracks & A Burger. Our mission was accomplished in a very satisfying fashion. We can't share the burger with you because we ate it. 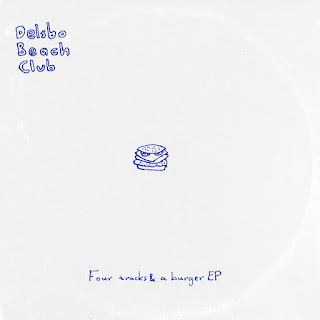 But we aren't ungenerous, so we hereby present all you need to get your own Four Tracks & A Burger. It will be made by the fine indie rock craftsmen at the Delsbo Beach Club, which insiders know to be a premium purveyor of such items for those hungry fans who find themselves in Sweden. We understand that you probably are not, at this moment, in Sweden. However, due to the magic of the internet and the tasteful distributors at Stockholm's Rama Lama Records, you don't even need to be in Sweden to get your own Four Tracks & A Burger. So visit the Bandcamp link and get your own copy of fuzz, melody, energy, and a very low calorie burger. For this recording, Delsbo Beach Club are Erik Björklund, Aron Lange, Alexander Kuronen, Max Englund. Sundays may not have been invented for dream pop, but we think it likely that dream pop was tailor made for Sundays. So here is "Skinny Dipping" dreamy new single by Brighton's Dreams of Empire. The project of Andrew and Jane Craig, who create majestic walls of sound in which you are invited to loose yourself. And if you are like us, you happily will do so.